No White Christmas. The Simpsons video Worksheet. This is a worksheet on a chapter of The Simpsons. It is a chapter from a Christmas special edition pack. Your students will be amused and learn things about American Christmas at the same time. The One where Phoebe runs. Friends. Season 6. 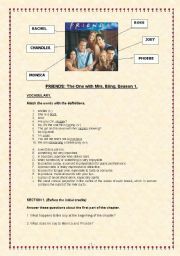 Here is a short worksheet on one of the chapters of Friends from Season 6. My students love this TV series. It´s great to work with slang and American language. It´s also got the KEY, which is always useful, I believe. Thanks for downloading. Season I. Friends TV series. The One with Mrs. Bling. One of the chapters of "Friends" tv series. It belongs to the first season. It´s got activities and the key. I divided this one into sections to make it easier for you to stop and work on it. Enjoy it! The One Where it all Began (Friends Chapter). Season 1. This is the first chapter of the first season of Friends with some vocabulary and activities to practise. You can also find the key in a different file. Enjoy it! 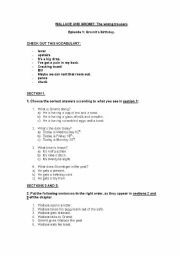 This is an intermediate-level worksheet to work with your upper-secondary students. Surprisingly, my 16-year-old students wanted to watch this movie in class. It is great though! Hope you have fun with it! 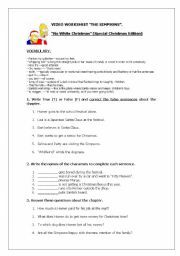 A rephrasing worksheet to practise all the main verbal tenses in English at the post-compulsory education level. 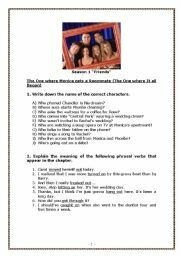 This is a worksheet to practise listening comprehension with the TV series Friends. You have different types of activities. You also have the Key, in case you need it. Thanks for downloading. This is the first of a series of printables on the chapters of The Wrong Trousers, by Wallace and Gromit. 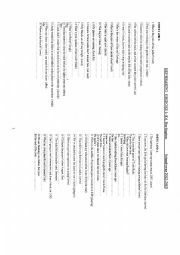 You also have the key to this worksheet in a different download. Wallace and Gromit. The Wrong Trousers. Chapter 5: Wallace´s sleepwalk. 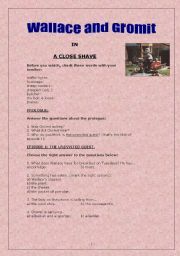 This is a worksheet on Chapter Five of the video Wallace and Gromit: The Wrong Trousers. It´s got the key to the activities.Your students will enjoy it!